We’ve helped 100s of companies grow their business with custom marketing campaigns. We can grow yours. We Grow Businesses With ROI-Driven Marketing Campaigns. If you’d like to grow your business, regardless of what industry, this is the most important letter you will read today! It could save you the costly mistakes that other companies are making right now. You may be making it already. We are dramatically different than most marketing agencies. We operate like a Chief Marketing Officer (CMO). We get to know your business and put in the time to succeed. Because I saw too many businesses being taken advantage of by other marketing agencies. Meeting after meeting I would hear about how business owners were being kept in the dark. Business owners were getting dragged into marketing campaigns by bogus agencies. With so many different agencies and so many different marketing platforms, how can a business owner make the right decisions without knowing all about online marketing campaigns? As much as people like to complicate online marketing, it’s actually pretty simple. There are a lot of ways to do this, but not all of them will work. But how will you figure out what will bring more business into your doors? Take PPC (Google Ads) for example. 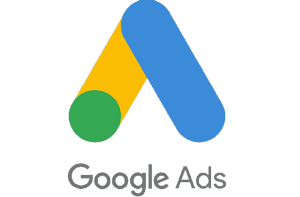 73% of ad spend is wasted on Google Ads. Yet I see hundreds of businesses blow thousands of dollars a month on bad campaigns. Business owners are told they need a PPC campaign so they jump without the proper tracking in place. Google Ads does work. It can be a huge source of revenue for your business, but it has to be optimized and you have to have the right keywords. This can takes weeks if not months. So how do you navigate online marketing and make sure you are getting the absolute best value for your money? We act as a CMO and become part of your team. There’s 100% transparency and we make sure you have 100% access to all accounts. You not only get access, you own all accounts. There’s a lot more that goes into this, but that comes later. Get A FREE Marketing Proposal. We will take a look into your online marketing campaign and see where we can help. When I started my 1st multi-million dollar company, I thought I had everything figured out. I was doing the best I could with my limited knowledge. But I soon realized that recessions, leverage, and lack of sales can quickly end any company. I lacked some very important skills. So I decided to spend the next year learning the art of online marketing. This was back in 2007. I wanted to create customers by creating and delivering the right message at the right time. But we did it and have been able to duplicate our system for others. With our system, we grew Ydraw into a multi-million dollar business and became part of the Inc 5000. Our System was growing my business, but I noticed other companies were struggling. Not because they didn’t want to succeed…They didn’t know how. So, Marketing Hy was born. Get Your FREE Marketing Proposal and see what we can do to grow your business. Put your message in front of your target audience. 73% of Ad Budgets are wasted. Don’t waste money! Facebook is where you customers are hanging out. Best to be there. Future Customers need multiple touches. Here’s a FREE Video Marketing Cheat Sheet and instant access to our video marketing checklist. Learn the necessary steps to build a successful Video Marketing Campaign.